In the provincial, decaying Norwegian town of Odda, journalist Robert Bell is a cynical observer, relishing his self-chosen role of outsider, constantly sizing-up and judging his fellow-citizens. He enjoys his lonely job at an outpost for a big newspaper, though has been regularly frustrated at the paper's refusal to publish what he regards as serious investigation, instead having to write frothy pieces. As the story opens, a nineteen-year-old teenager has driven into the local river and, although no body has been discovered, presumably drowned. Robert is told by his manager, a delightfully accurate portrait of a voice down the phone, a politically correct, bland and smug woman whose composure Robert can never seem to ruffle however hard he tries, to follow the case. He does so, efficiently but upholds his journalistic integrity by refusing to take part in either exploiting the boy's family (however much they may seem to welcome it) or to join in the general condemnation of the Serbian asylum seekers who live in a local hostel and are considered by all to be the obvious culprits. Journalists from other papers and media turn up, including an unpleasant hotshot from Robert's own publication who muscles-in on Robert's area and patronisingly sets out to show Robert how it is done. As well as the crime investigation, Robert's personal problems - and perhaps his reason for living in a place he seems to despise - come to the fore. His brother Frank is the local chief of police, but the two are cold with each other. We soon learn that the strains in the relationship are caused to a large extent by sibling rivalry over Irene, Frank's wife and Robert's lover. 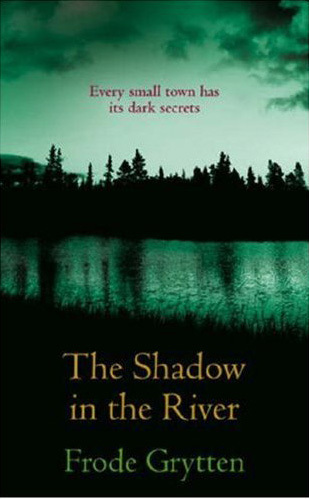 THE SHADOW OF THE RIVER is an assured first novel, well translated into colloquial English. The author superbly conveys an atmosphere of mean gossip and despair as factories have closed down, causing endemic unemployment and encouraging a culture of malicious gossip. The Serbs are an easy target, and Robert's various ways of standing against the racism all around him are the most bleakly amusing, and in the case of the boy "Ronaldo", poignant, parts of the book. "I thought how in detective films everything begins in darkness. With each succeeding scene people and events slowly emerge into light. The past becomes clearer and easier to understand. In the end everything can be explained and the reckoning paid. In reality things happen the other way round. Things seem clear and comprehensible, before they descend into the murk and the muck. As the end approaches you lose all track of the plot and have no idea how it's going to end." I highly recommend this short, readable, if bleak, book. It isn't a conventional detective story, but the atmosphere and interactions between the characters are an end in themselves. The author has something he wants to say about globalisation and immigration, and he says it well. I enjoyed it very much.